Took this photograph this morning. The three chicks continue to survive. 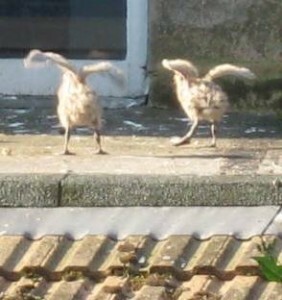 Here are two of them taking their first lessons in flying.